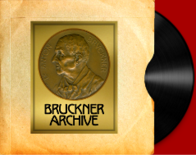 The Bruckner Medal of Honor, presented by the Bruckner Society of America to conductor Otto Klemperer in 1936 has been acquired by the Bruckner Archive for preservation. The circumstances of this acquisition are unusual to say the least. 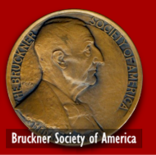 As Executive Secretary of the Bruckner Society of America, I was contacted by a man who presently lives in Hudson, Ohio. He wrote to tell me that he had a Bruckner Society medal with conductor Otto Klemperer's name on the back. He found the medal in the attic of a house he bought in Cleveland Heights back in 1983. He advised the sellers of the house of his discovery but they told him that they had no interest in it and that he should keep it. 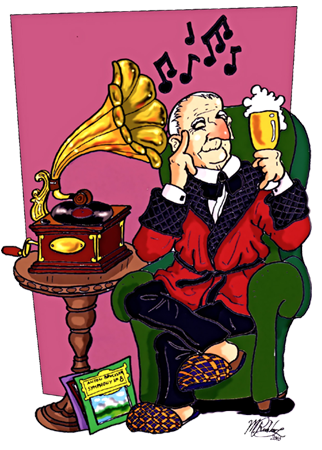 The medal remained in the man's library for the past 36 years and he recently decided to find out more about it and came across the Society's website. Just how this medal ended up in the attic of a house in Cleveland Heights, Ohio is a mystery, since Klemperer's wife predeceased him and his children did not live in Ohio. While the medal was presented to Klemperer in 1936, the medal is engraved with the date 1934. The medal was apparently prepared in 1934 in conjuction with Klemperer's US premiere of the Alfred Orel edition of the Bruckner Symphony No. 9 with the Philharmonic Symphony Society of New York. -The Bruckner Medal: Koussevitzky, Klemperer, Ormandy, O'Connell.